As a player whose contributions are often overlooked, Andre Iguodala has made a career flying under the radar. There have been only five teams in NBA history that have won three consecutive league titles. A handful of games into the 2017-18 regular season, the Golden State Warriors have already begun their quest to become the sixth. Years from now, when we look back on Golden State's most recent two championships, chances are one player and two specific shots will stand out. The game, the shot location, the time remaining on the clock…the similarities are truly uncanny. They're arguably the two biggest shots in the career of a player who will go down as one of the most skilled scorers to ever play the game. And while those shots obviously and rightfully deserve plenty of reverence, it wouldn't be right to ignore the full context within which they took place. The fact of the matter is, without some certain overshadowed defensive plays, those shots may not go down in history quite the way they did. And perhaps it's only fitting to use the term 'overshadowed', considering the plays were made by one Andre Iguodala. He's been an All-Star, a Finals MVP, a two-time All-Defensive player and a three-time NBA Champion. Yet, with all of the star power on the Warriors, it's been somewhat easy for Iguodala to fly under the radar. He's never posted a double-digit scoring average in a Golden State uniform, and has made only eight total regular season starts dating back to the beginning of the 2014-15 season. 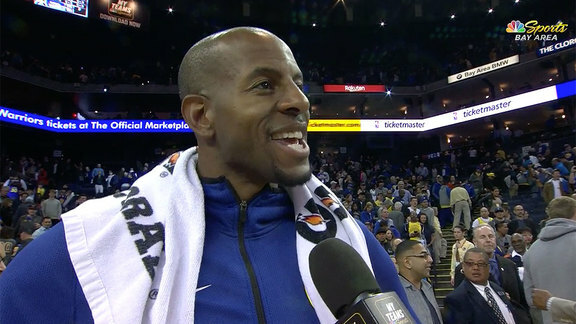 But if you ask Steve Kerr, who made the decision to bring Iguodala off the bench upon his arrival, the veteran swingman is invaluable to the Warriors' vision and overarching strategy. "He's the unsung hero on our team," Kerr said in the aftermath of one of Iguodala's aforementioned overshadowed defensive plays. "If I had to rank the smartest basketball players I've ever been around, I'd put him right there with Manu Ginobili and Scottie Pippen. He's got that kind of basketball mind. He's brilliant." The play in question? It wasn't one for the faint of heart. Roughly 30 seconds after Kevin Durant deposited the first of his two famous Game 3 daggers through the net, the Warriors were still vulnerable. He increased Golden State's lead to three points with two free throws with 12.0 seconds remaining, but Cleveland still had an opportunity send the game into overtime, and they had the ball in the hands of the right player. The only problem? It was Iguodala's hands they should have been worried about. As LeBron James raised up to launch the potential game-tying three, Iguodala swiped down, deftly separating the ball from James' grasp, clinching the victory and a commanding 3-0 series lead for Golden State. One blowout loss and one additional win later, the Dubs had their first of back-to-back NBA Championships. Then, almost exactly a year later, Iguodala's pesky hands were at it again. With just under three minutes remaining in regulation of Game 3 of the 2018 Finals, the Warriors held a slim 98-97 advantage, inching ever closer to a 3-0 series lead over the Cavaliers for the second year in a row. Stephen Curry had just converted a layup to give the Dubs the lead, and as Cleveland made their way back down the court, James threw the ball into Kevin Love, who was posted up against Iguodala on the wing. As the bigger Love attempted to spin towards the baseline with his eyes set on retaking the lead, Iguodala used his left hand to strip Love from behind. Not only did Iguodala retain possession after the crucial steal, but two passes later, Golden State led by four. On the ensuing possession, James returned the favor, converting a three-pointer to make it a one-point game once again. Enter Iguodala for yet another critical overshadowed contribution. Iguodala inbounded the ball to Kevin Durant, who walked it up the court. 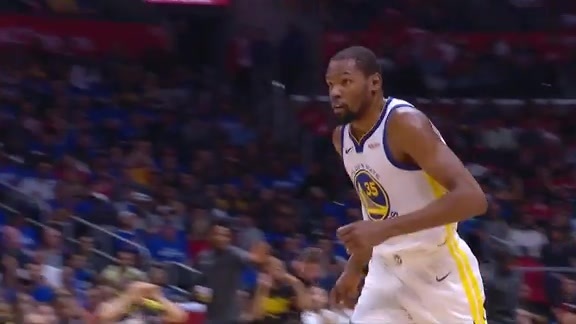 With five seconds left on the shot clock, those two engaged in a pick-and-roll, as Durant found a wide-open Iguodala cutting to the basket. With nothing but space in front of him, Iguodala received the pass and rose up to throw down a thunderous dunk, rebuilding a three-point advantage with just less than 100 seconds left to play. Cleveland would miss on their ensuing possession, and on Golden State's next trip down the floor...well, you remember. Durant's shots are certain to be replayed on NBA highlight reels for decades to come, and rightfully so. But, chances are, those highlights will be clipped in such a way that Iguodala's overshadowed plays don't make the cut. That's not something that bothers Iguodala, though. "No, for me, I know. But, like, I know it's unnoticed. I actually enjoy those more than anything. I like doing stuff that people can't quite grasp, whether casual or very in-tune basketball fans. Those are the moments I like." "Yeah, I think my career has been like that, but I've always been cool with that. I never say that I don't have enough attention or that I should get more attention. I like flying under the radar." 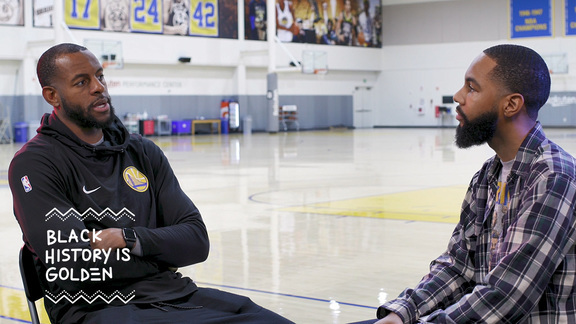 Perhaps what makes Iguodala such a valuable piece of the Warriors' puzzle is that he not only understands his role, but also embraces it, particularly as the stakes get greater. "You want to put your stamp on the game in whatever way possible," he says. "We embrace our jobs. And my job is to try to cause some havoc defensively, especially when those moments call for it." If anyone knows what it's like to be on the other side of that havoc in a big moment, it's the Cavaliers. But, now in his 15th NBA season, Iguodala's left his stamp on the game in just about every way imaginable. The majority of Iguodala's NBA career is behind him, but what a career it's been. And, based on how 'Playoff Iguodala' has performed each of the last two postseasons, perhaps he's got more tread left on his tires than he'd have you believe. But when that career does finally come to an end, will he have done enough to secure himself a spot in the Hall-of-Fame? Iguodala – a noted NBA historian – believes there are at least four future Hall-of-Famers amongst his current teammates, if not more. However, he neglects to include himself in that group. "I think my game, like what I've done is good enough, but I don't think the numbers support it. But I'm cool with it. I don't really care. Whatever." For a guy who's perfectly comfortable flying under the radar, what else would you expect?